To stay relevant in real estate marketing, sales, and closing deals, agents use multiple technology tools, websites, and plug-ins. Every day, agents bounce from one content management system, social media platform, and lead generation system to the next in an effort to find more viable clients. Between updating feed listings in MLS, sending out emails through MailChimp; sharing documents in the cloud; and cultivating relationships using SalesForce, Top Producer, or a similar program, things become chaotic and, therefore, unproductive. Instead of trying so many different things in an effort to identify the best tools, a company in Southwest Florida has an incredible remedy in the form of REfindly. This technology is truly revolutionary in that real estate agents can use just one system for generating, engaging, and converting sales. Ultimately, this saves a tremendous amount of time while getting much better results. By freeing up time, real estates have the opportunity to focus on more pressing matters and spend more quality time with potential and existing clients. 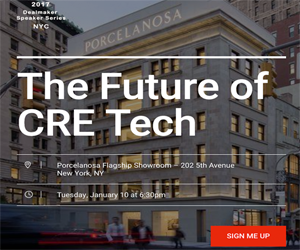 As stated by the brainchild of REfindly, this technology is “Real Estate RE Created.” Ultimately, this technology aligns a customer relationship management (CRM) system with an IDX service. Immediately after a lead is entered into the system, the agent receives an alert via email or text messaging. While the CRM improves communication between a seller and real estate agent, the IDX gives users the ability to search properties. In addition, because REfindly is indexed by Google, traffic is steered toward the agent, generating a greater number of leads. Another key feature of REfindly is that listings are refreshed twice an hour. Visiting a property more than once indicates genuine interest and because the agent is notified, there is a better chance of closing the deal by responding quickly. In addition, if the agent receives three email notifications that go unopened, REfindly creates a task whereby the agent is prompted to reach out to the prospective client. REfindly also integrates with several software solutions. The system was designed to interact, which eliminates grunt work for agents while helping them be more effective in closing deals. Using REfindly, more sales are finalized, creating a win-win situation for the buyer and agent. In developing this innovative solution, the goal was to offer the real estate market a complete tech solution. Another benefit of REfindly is that it works in conjunction with Agent Shield and Testimonial Tree. With Agent Shield, developers and agents are brought together to sell new construction homes. With Testimonial Tree, consumer testimonials are curated online as a means of leveraging business. Collectively, Sunset Coast Technology was born, which is fully dedicated to the promotion of ingenuity within local technology firms. When REfindly was first introduced at the Florida Association of Realtors, the reception was so intense that people were literally lined up to see what all it did. By the end of the conference, over 100 companies had viewed a demonstration, with many more waiting in the wings. REfindly has already made a dramatic difference for agents around the country by cutting down the amount of administrative work.